Product #45818 | SKU A-82CUS-II | 0.0 (no ratings yet) Thanks for your rating! 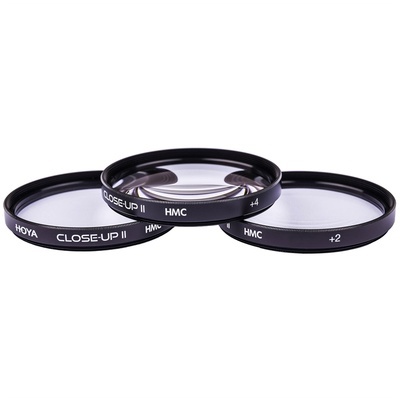 This Hoya 82mm HMC Close-Up Filter Set II offers the ability to achieve macro-like results with camera lenses that have 82mm front filter threads. A close-up filter is a magnifier that optically decreases the focal length of a camera lens placed behind it. This effect lessens the minimum focus distance between the camera lens and a subject. Magnification can then be obtained by decreasing the distance between the subject and the combined camera lens and close-up filter. Box Dimensions (LxWxH) 9.5 x 4.7 x 1.5"